In this complex and uncertain world, Russia represents a real threat, to real allies, on real terrain. Though Russian President Vladimir Putin’s intentions might be unknowable, we do know what his game plan is. It’s called “newgeneration warfare,” and it targets Western weaknesses, not strengths. New-generation warfare differs from Western views of hybrid conflict in that it combines both low-end, hidden state involvement with high-end, direct, even braggadocio superpower involvement. The BM-30 Smerch, a Russian heavy multiple rocket launcher. Political subversion: Insertion of agents; classic “agitprop,” or political propaganda, information operations employing modern mass media to exploit ethnic-linguistic-class differences; corruption, compromise of local officials. Proxy sanctuary: Seizing local governmental centers, police stations, airports and military depots; arming and training insurgents; creating checkpoints and destroying ingress transportation infrastructure; cyberattacks compromising victim communications; phony referendum with single-party representation and establishment of a “People’s Republic” under Russian tutelage. Intervention: Deployment of Russian forces to the border with sudden large-scale exercises involving ground, naval, air and airborne troops; surreptitious introduction of heavy weapons to insurgents; creation of training and logistics camps adjacent to the border; commitment of so-called volunteer combined-arms battalion tactical groups; integration of proxy troops into higher-level formations that are equipped, supported and led by Russians. Coercive deterrence: Secret strategic force alerts and “snap checks”; forward deployment of tactical nuclear delivery systems; theater and intercontinental maneuvers; aggressive air patrolling of neighboring areas to inhibit their involvement. Negotiated manipulation: Using and abusing Western-negotiated cease-fires to rearm their proxies; using violations to bleed the opponent’s army white while inhibiting other states from helping under the fear of escalation; dividing the Western alliance by playing economic incentives; selective and repetitive phone negotiations infatuating a favorite security partner. Contrary to Western politicians, the Russian leadership understands these military options and plays them like a Stradivarius. Denying communications: There are regions in Donbass where no electromagnetic communications—including radio, cellphone and television—work. Defeating unmanned aerial systems: Electronic warfare is the single largest killer of Ukrainian systems by jamming either the controller or GPS signals. Defeating artillery and mortars: Russian electronic warfare predetonates or duds incoming artillery and mortar rounds that have electronic fusing. Targeting command and control nodes: Russian electronic warfare can detect all electromagnetic emissions, including those from radios, Blue Force Tracker, Wi-Fi and cellphones, which can then be pinpointed with unmanned aerial systems and targeted with massed artillery. To compete in an electronic warfare environment, the Army must become proficient on analog systems again, remove all unnecessary electromagnetic emitters such as personal cellphones; route antennas as far from operations centers as possible; conduct “a day without radios or computers” during training missions; and quickly field its own organic electronic warfare systems. Ukraine is the first conflict in which unmanned aerial vehicles have been present on both sides in significant numbers. Russia employs UAVs for intelligence, surveillance and reconnaissance; target acquisition and real-time engagement for massed artillery fires; and, most recently, as minibombers carrying incendiary explosives targeting ammunition and fuel storage areas. Ukrainian units have observed up to eight Russian UAV overflights per day, and the constant awareness of being observed and targeted is often a traumatic experience that instills fear and inhibits movement, particularly in daylight. The combination of small-size, limited radar cross-section or infrared signature, and lack of acquisition until they are over or past the target, makes engagement with surface-to-air missiles a low-probability and high-cost proposition. The Army must relearn the importance of camouflage, concealment and deception; and must train with opposing forces utilizing drone technology and assuming they are under constant, real-time aerial surveillance. Likewise, anti-UAV targeting and defeat systems for low-level quadcopter and fixed-wing unmanned aircraft are needed at the company level. Russia employs a combination of dual-purpose improved conventional munitions, scatterable mines, top-attack munitions and thermobaric warheads that have catastrophic consequences when used in preplanned, massed fire strikes. The U.S. has removed all of these warheads from its inventory. Ukraine and Russia are using direct fire artillery at a range of 1 to 6 km as overwatch systems, to suppress anti-tank defenses, and as anti-tank weapons. The pursuit of increased artillery range is a trend necessitated by greater dispersion on the battlefield and made possible by a combination of unmanned aerial vehicles on the battlefield and the increased capability of counter-battery radar. Increased emphasis on counter-battery radar and fires disrupts opposing fire missions by forcing the enemy to move. Russian artillery maintains an approximate 3:1 size advantage over the Army’s artillery, and they have a capability advantage as well with their use of dual-purpose improved conventional munitions and submunitions. For the Army to be competitive, the DoD must repeal then-Secretary of Defense Robert Gates’ 2008 directive to comply with the provisions of the Ottawa Treaty, which resulted in the removal of all submunitions from the Army’s inventory. Main battle tanks remain decisive in modern combat if equipped to defeat anti-tank guided missiles and infantry handheld anti-tank rockets. Modern Russian T-72B3s have upgraded armor protection and explosive reactive armor, a new version of the 125 mm gun and, most significantly, a vastly improved computerized fire-control system with advanced optics and modern night/all-weather vision. The T-90 main battle tank enjoys these same upgrades, but its most noteworthy attribute is an integrated active-armor defense system. Using radar to detect an incoming missile, the active-armor system fires a shotgun-like spray of pellets that disables the guidance in the head of an anti-tank guided missile as it approaches the tank. 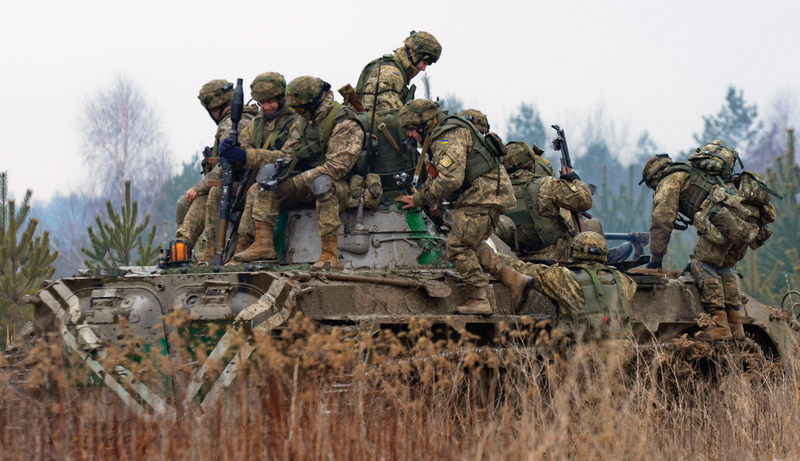 Ukrainian army soldiers mount an infantry fighting vehicle during training. 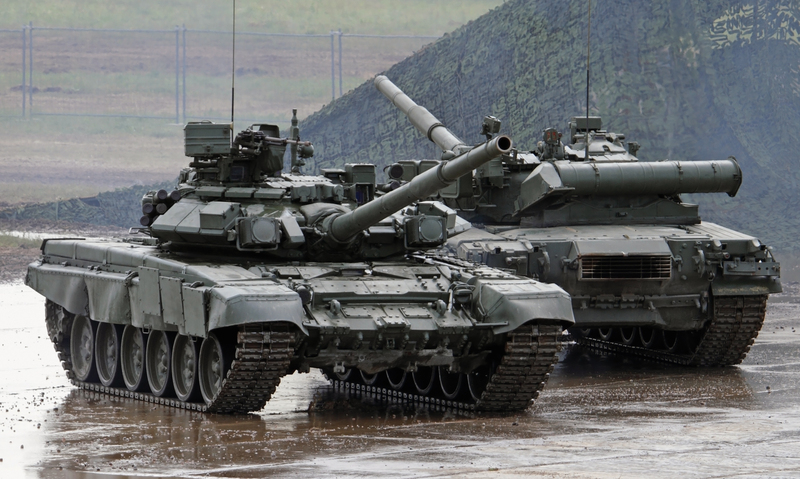 Russia has also developed modular active-armor systems compatible with all T-80s, T-72s and T-64s. The U.S. must test its Javelin anti-tank guided missiles against these active-armor systems to ensure they provide dismounted infantry the expected lethality. Light infantry fighting vehicles, which prioritize mobility and firepower over survivability, are vulnerable to anti-tank weapons, medium-caliber (30 mm) automatic cannons mounted on other light armored vehicles, artillery submunitions and thermobaric warheads. When hit, infantry fighting vehicles tend to suffer catastrophic damage, killing or severely burning everyone on board. Since troop losses are so high, soldiers prefer riding on top of the vehicles, and assaults are conducted with dismounted rather than mounted infantry. As a result, tank attacks are less effective because they no longer have accompanying mechanized infantry with equal mobility to protect them from other infantry. The survivability of U.S. infantry on the modern battlefield poses serious challenges against Russian mechanized forces with supporting artillery and Multiple Launch Rocket System firepower. At a minimum, the Bradley and Stryker infantry fighting vehicles should be fitted with reactive armor and other advanced protection systems. A low force-to-space ratio on the Donbass battlefield and the increased lethality of modern weapon systems mandate wider dispersion for survivability. The wide dispersion creates opportunities for maneuver, especially armored raiding behind enemy lines and along lines of communication. In August 2014, a Ukrainian air assault brigade conducted the largest and longest armored raid behind enemy lines in recorded military history to relieve isolated Ukrainian garrisons, disrupt advancing Russian columns, and capture Russian armor and heavy artillery. Since maneuver battalions are operating on traditional brigade-sized frontages up to 40 km wide, Russia employs battalion tactical groups composed of one armor company, three mechanized infantry companies, one anti-tank company, two to three companies of self-propelled artillery and Multiple Launch Rocket Systems, and two air defense companies. These organic assets provide the battalion tactical group commander the lethality, maneuverability and protection to operate in the dispersed and decentralized environment. Similarly, the Army should consider returning the armored cavalry regiment, with its full complement of maneuver, maneuver support, fires and aviation assets, to its current force structure. Russia operates the world’s largest and densest mobile air defense network in the Donbass region. 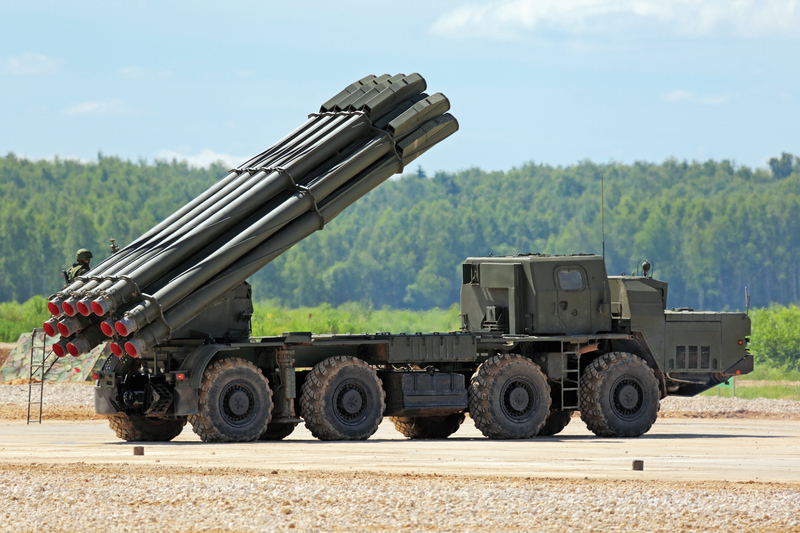 The combination of integrated and networked self-propelled air defense systems and manportable air defense systems virtually shot the Ukrainian air force out of its own sky. 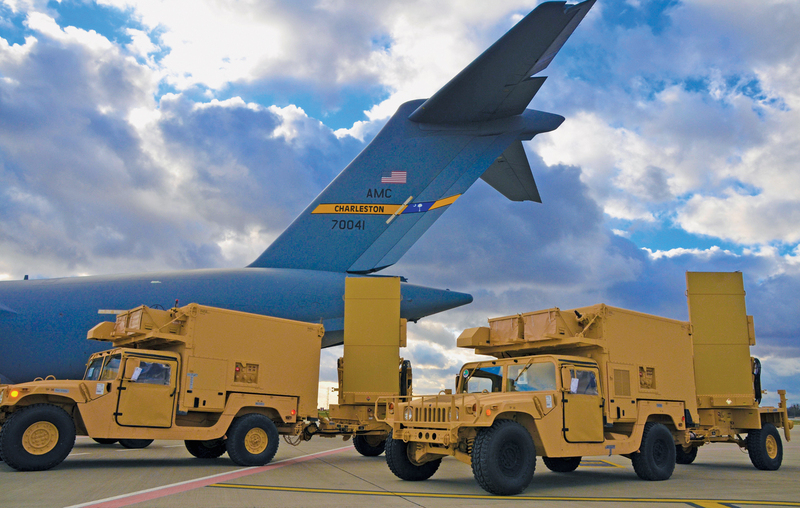 The U.S. delivered two AN/TPQ-36 radar systems to Ukraine in November to help with defense and internal security operations. Ukrainian helicopters were reduced to flying 3 to 5 meters above ground or treetop level to avoid the larger surface-to-air missiles from the self-propelled systems, but ambush teams of two to five manportable air defense systems, cued by the integrated air defense network, shot them down. Without adequate suppression of enemy air defense assets or hardened bases and defenses, Ukraine was powerless to stop this. Fortunately, the wide dispersion on the battlefield creates opportunities for aviation. As armor and mechanized infantry maneuver farther from their battalion tactical group headquarters and escape the protection of their air defense assets, they become vulnerable to attack aviation. Similarly, lines of communication can be overextended and become equally vulnerable. For U.S. air power to be effective against Russian air defense networks elsewhere in the world, its base infrastructure needs to be survivable through a combination of dispersion, hardening and defenses. It also needs an integrated air defense system that combines long-range surveillance with effective surface-to-air missile defenses. Achieving significant results against ground targets requires large-scale reinforcement with strike aircraft supported by escorting fighters and electronic countermeasure aircraft, and a close integration with long-range, ground-based artillery capable of suppressing enemy air defenses with area fires. The low-intensity counterinsurgency wars in Iraq and Afghanistan have not prepared U.S. forces for the high-intensity, peer-on-peer battlefield. In July 2014, Russia launched fire strikes with long-range artillery and multiple rocket launchers employing top-attack munitions and thermobaric warheads against two Ukrainian mechanized battalions in the open. This intensely concentrated fire strike lasted only a few minutes yet inflicted high casualties and destroyed most armored vehicles, rendering both battalions combat-ineffective. In combat situations like this, when up to 30 percent of a unit is killed or incapacitated, command and control breaks down and the unit is unable to treat its own wounded, much less reconstitute itself and continue its mission. The Army needs to develop reconstitution teams at the brigade level that will re-establish command and control, provide triage and other medical support, and quickly coordinate reconstitution. Likewise, units at all levels must frequently train in mass-casualty scenarios. For nearly 100 years, American forces have had a major responsibility defending democracy and helping secure peace on the European continent. A million U.S. service members were killed or wounded winning the two world wars, and over 21 million man-years of troop deployment in that theater helped win the Cold War and produce a Europe “whole and free.” Yet as Russia threatens the stability of the region with its new-generation warfare concepts and the American military struggles under budgetary pressures, the question becomes whether the U.S. Army can learn from these lessons and make itself relevant and viable for the future. Phillip Karber is president of the Potomac Foundation and an adjunct assistant professor at Georgetown University, Washington, D.C. A former Marine, he worked with Gen. Donn Starry and the U.S. Army Training and Doctrine Command on Lessons Learned from the 1973 Yom Kippur War, and served as strategy adviser to former Secretary of Defense Caspar Weinberger. Joshua Thibeault is an operations research systems analyst assigned to the Army Capabilities Integration Center and a member of Training and Doctrine Command’s Russian New Generation Warfare Study Team. He holds a bachelor’s degree from the U.S. Military Academy and master’s degrees from Virginia Tech and Missouri University of Science and Technology.